“FEEL, HEAL & DEAL” – Transforming Crisis into Success”: My story of Overcoming a life time of Compounding Crisis. Discover how I spent many years hiding behind the mask of perfection and becoming an overachieving freak, fueled by my corporate and financial success and ‘saving’ others persona. It all finally blew up in my face and forced me to get real reinvent myself and my life. Let me share with you how my PTSD diagnosis became my GPS to finally finding my center, harmony, happiness, purpose and meaningful success. 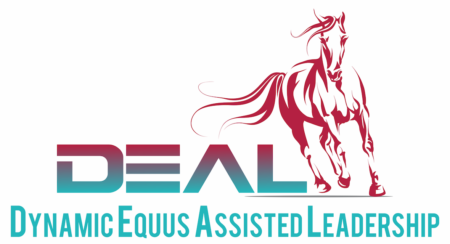 “4-LEGGED LEADERSHIP” – Lessons from the Herd” Let a horse show you who you really are! ……Horses don’t care who or what you are and they don’t have time for BS, facades, arrogance, flaky indecision or any of your “stuff”. A glimpse into the way of the Equus, Stories of powerful healing and lessons in connection, engagement, and leadership. Hear about some skeptic executives, entreprenuers, professional atheletes and everyday people who have allowed themselves to have the experience of horses reveal who you really are, how to be their essential self and teach them how to lead and engage their own ‘herd’ with power and elegance. “LEADERSHIP INTELLIGENCE” – How smart leaders inspire, engage and succeed.” Learn how to master Social, Emotional and Conversational Intelligences to connect deeply and engage those around you. Intelligent leaders learn the neuroscience behind the chemical cocktails the brain produces, and how this affects our behaviors when interacting with others. Discover the power of increasing your Social and Emotional intelligence competencies. Learn how to communicate and have conversations that allow for new ideas to emerge using Conversational Intelligence. Finally put the final polish on your leadership style by incorporating the magic of understanding energy, flow, yin & yang and regulating your masculine and feminine leadership energy. Stand Up Comedy: “The Improv”, Palm Beach Florida, and various sketchy clubs and open mic nights around the world! – I love stand up, by far the most challenging thing I’ve ever done and will continue to do whenever I get the chance! Travel: 66 Countries and counting……..I love to travel and experience new cultures. I’ve experienced everything from 7 Star hotels to highly dangerous and life threatening situations in the countries I’ve traveled to! Precious memories and growth on each adventure. Live and Work abroad: Done! Lived and worked in 5 different countries on 3 different continents. World Cruise – X2 Done! African Safari – X3 Done! Dublin Marathon, 26.2 miles, completed in 5:27 hours – One and Done! 3rd Place in Masters Women’s’ Figure Competition – One and Done! Start an Accredited International Coach Training School – Omni Coaching Institute- Done! Teach Leadership at an Ivy League University – Done! Teach Leadership at a girl’s school in Afghanistan – Done! Operate an International 7 Figure Business – Done! Host a TV Breakfast show – One and Done! Become a Radio Show Host – One and Done! Star in a Movie – Done! Become a Key Note Speaker – Done! Become an author – Done! Become an Amazon Best Selling Author ……….working on it! Start a Non-for-Profit Organization that funds education and support for girls and women globally ……..still dreaming and scheming and working on this… coming soon! Start a Non-for-Profit Organization that protects and supports animals globally ……..still dreaming and scheming and working on this… coming soon! Marry my dream man – Done!……….Okay, so it took me 3 “practice runs” but finally I’ve found him! Build dream home on the water in wine country……. Almost Done!….. completion date April, 2019! Live into my Purpose; be a Catalyst for Change and Growth and have a Positive Impact on the Lives that I touch and make a difference in the world.